Bespoke Portraits allowing you to see the (w)hole picture. Commissioned portraits in the media listed above. Sizes vary, but are typically over 1m sq. 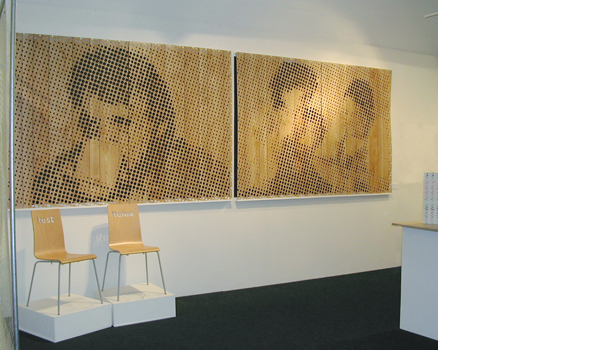 Dot 2 Dot can be hung on the wall, or used as a room divider or even placed outside. Contact us to discuss your commission.